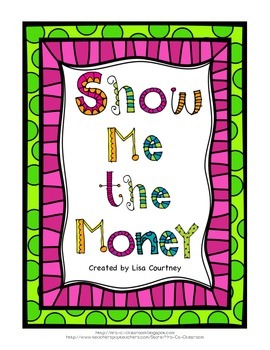 Show Me the Money is a fun and effective way to practice the standard and written form of numbers. Expanded form is not included in this activity. Students chose items from a shopping spree handout, and then write checks for 4 of their favorite items. There are 2 academic levels of shopping spree handouts. 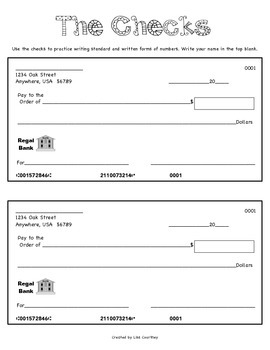 One handout allows practice for numbers through one thousands. 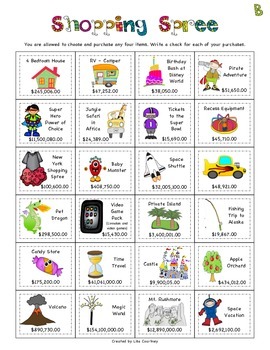 The other handout allows practice for numbers through hundred millions. You can differentiate between academic levels and/or choose the one that is the standard for your grade level. I have included suggestions on how to extend the activity. Please remember: This particular activity does not cover expanded forms of numbers!